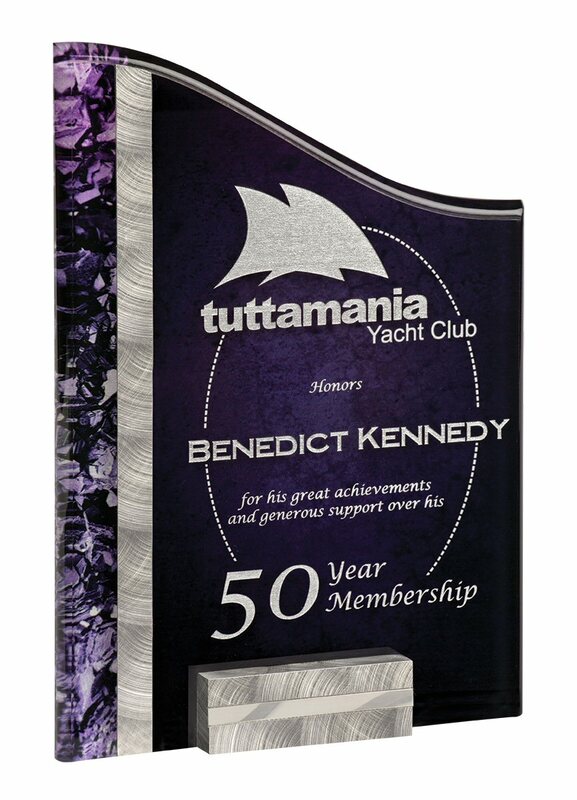 Beautiful 3/8 inch thick acrylic with a proprietary swirl purple and silver pattern mounted on an aluminum block base. Free reverse laser engraving gives this acrylic award a dazzling look. Before shipping, a proof will be emailed for your approval.